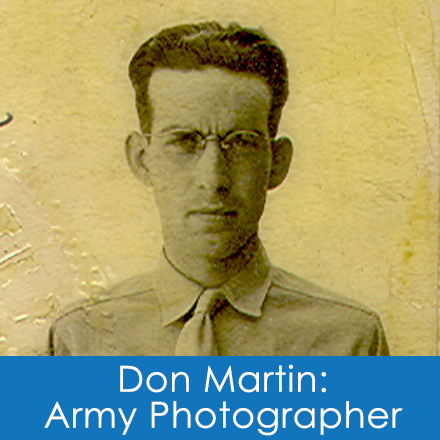 Don Martin first came to North Carolina as an Army photographer. In this role he documented life at the now-demolished Camp Butner, northeast of Raleigh. The Carolina Room has acquired photographs of the camp and its people by Martin. This web exhibit honors North Carolina's participation in the great national effort of World War II and the professional beginnings of a great photographer. Don Martin moved to Charlotte after the war and worked many years for the Charlotte News.